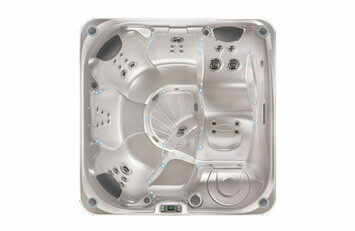 Designed to comfortably seat up to eight people, this spa is a great place to relax and connect with friends and family. 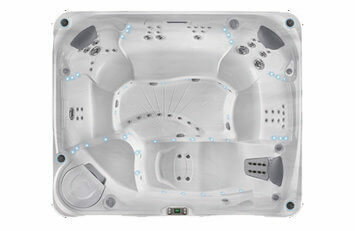 With modern styling and state-of-the-art jets that deliver soothing massage, it creates ambiance with multi-color exterior lighting and a Vidro® lit water feature. The Gleam Jet System offers an incredible 73 jets that relieve-tension in targeted areas including your back, neck, shoulders and calves. 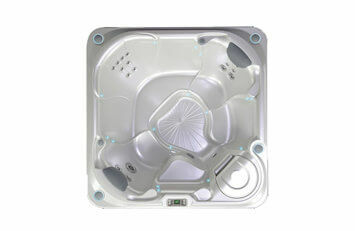 With sleek styling and space for seven people, you can share the relaxing experience of soaking in a hot tub with friends and family. 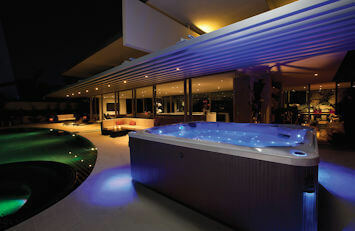 The Pulse also features 50 jets finished with stainless steel trim, multi-color lighting and a Vidro® lit water feature. The Pulse Jet System offers an incredible 50 jets that relieve-tension in targeted areas including your back, neck, shoulders and calves. 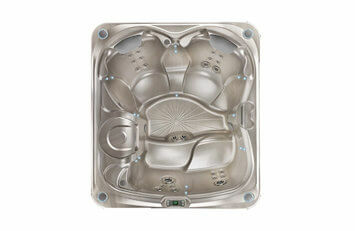 A great place to unwind, you can relax in the comfort of hot water with family and friends, relieve tension with the Flair’s 41 targeted jets and enjoy the ambiance of the built-in Raio® lighting system. Illuminated by the Raio® LED multi-color lighting system, choose the color to match your mood while enjoying 30 tension-relieving jets. Seats up to four people and is available with an optional EverFresh® Ozone System or patented ACE® Salt Water Sanitizing System. The Glow Jet System offers an incredible 30 jets that relieve-tension in targeted areas including your back, neck, shoulders and calves. 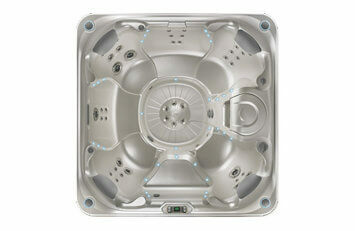 This great spa has exceptionally sleek style and 17 tension-relieving jets. 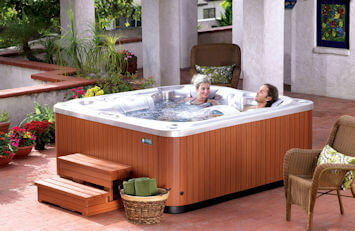 This easy-to-use hot tub seats up to four people and only requires 110V of power for more convenient installation. The Bolt Jet System offers an incredible 17 jets that relieve-tension in targeted areas including your back, neck, shoulders and calves. With elegant styling and exceptional performance, your Limelight Collection spa is destined to become the central hub of your home. 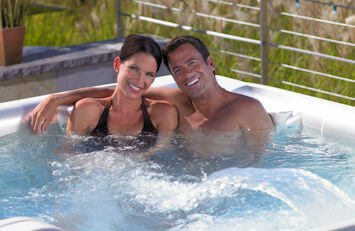 Enjoy soothing massage, vibrant lighting, and exclusive features that make spa ownership easy. 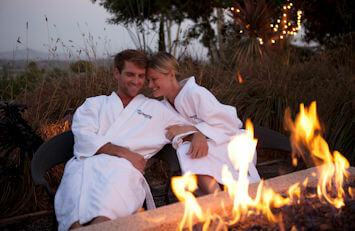 Plus, you can count on the quality you expect from a Hot Spring spa – so sit back, relax and enjoy.